Bombardier Business Jet Financing with Global Jet Capital. Global Jet Capital is proud to finance the full range Bombardier Challenger and Global aircraft customized to meet your specific needs. The Challenger 300 combines industry leading performance with exceptional all around comfort to provide travelers of all types with the ultimate in reliability. Featuring a newly defined in-flight experience coupled with some of the most advanced avionics in the industry, the Bombardier Challenger 350 is the best-selling business jet platform in the past 10 years. 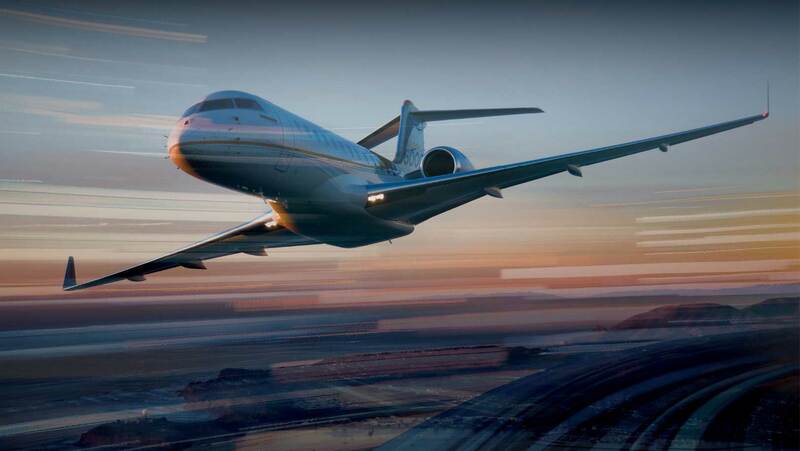 Boasting some of the most productive and highly-evolved cabin technologies in its class, the Bombardier Challenger 605 offers outstanding mission capabilities to help you keep your business on top. The Bombardier Challenger has the widest cabin making for a comfortable ride. Worldwide reach and lowest operating cost make this the best-selling large aircraft platform. The Bombardier Challenger 850 leads the way in setting a standard for dependability while providing owners with a customizable business jet solution. Designed for optimized speed, comfort and performance, the Bombardier Global 5000 is perfect for all of your in-flight travel needs. Featuring a luxuriously outfitted cabin and state-of-the-art performance capabilities, the Bombardier Global 6000 gives your organization endless options to meet your travel needs. Wide-open living spaces, refined interior design, sheer comfort, total performance and a smooth ride are all synonymous with Global business jets. The Global 6500 aircraft will reshape your expectations and thrill your senses with a stunning cabin, new engines and leading-edge wing technology for a heightened flight experience that is quintessentially Global. Unparalleled spaciousness combined with outstanding performance, the Bombardier Global 7000 is one of the best in business air travel. With its unique four-cabin zoning and next generation turbo engines, you will be traveling in style with your Global 7000. The Global tradition of a quiet, low-altitude cabin continues in this cutting-edge design. Within its luxurious interior are four true living spaces, a full size kitchen and a dedicated crew suite. With the configuration of four distinct cabin zones, you’ll find ample room for uninterrupted relaxation or an extended boardroom meeting. An innovative seat design features intuitive adjustment controls and a tilting headrest for optimal neck support. You’ll enjoy exceptional comfort in any position, including deep recline, so you arrive at your destination well rested. The Global 7500 also features an inflight-accessible baggage compartment, a full-service galley, and an experienced flight attendant. With extreme comfort capabilities and remarkable range, the Bombardier Global 8000 is ideal for almost all of your travel needs. Bombardier Business Aircraft offers an innovative solution to your business aviation needs backed by years of industry-leading achievement. No matter if you choose super mid-size or ultra-large, you are sure to be impressed with Bombardier’s best-in-class attributes from its superior cabin comfort to state-of-the-art in-flight technology. Whether you’re in search of a Challenger Jet operating lease or a mezzanine loan, the private jet financing team of Global Jet Capital has the industry expertise and experience needed to deliver customized solutions tailored towards your business aircraft needs. Contact a representative from Global Jet Capital today.